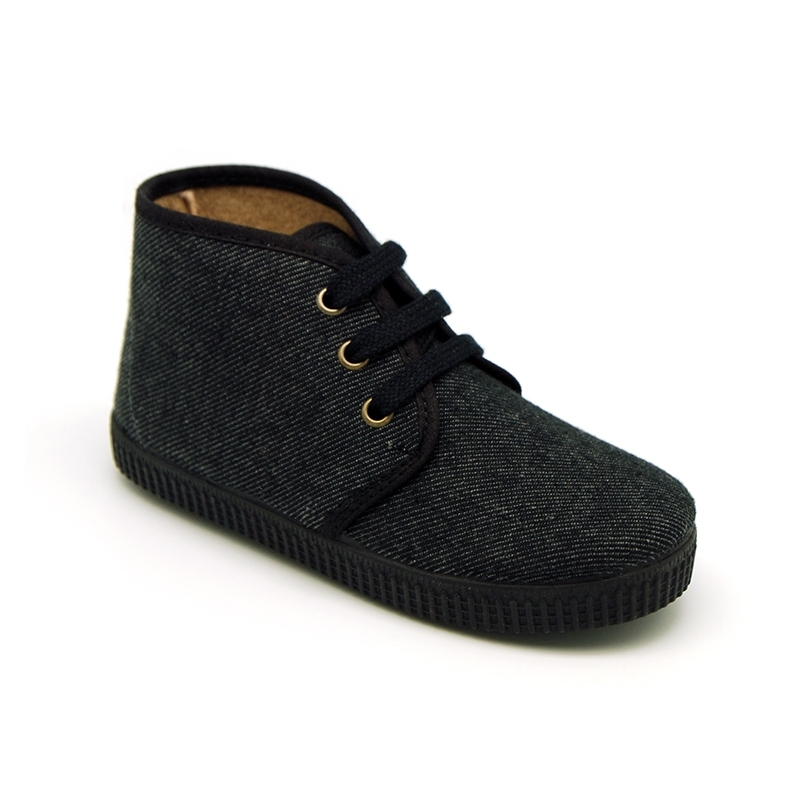 Okaaspain Tienda online de botitas casual tipo zapatillas para niños. 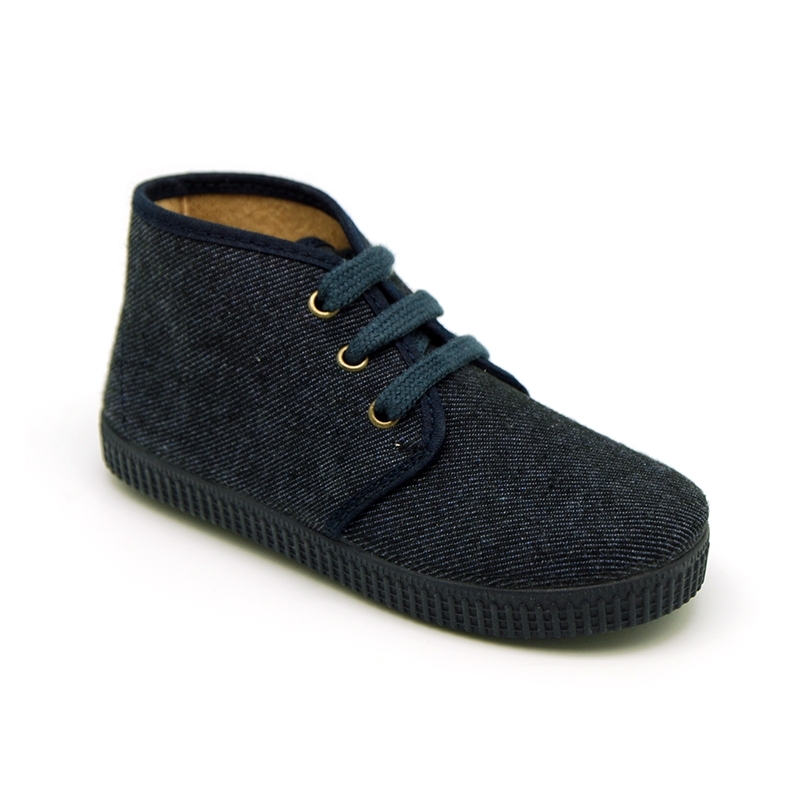 > First Steps>Sneakers>Little ankle boot shoes with denim design. 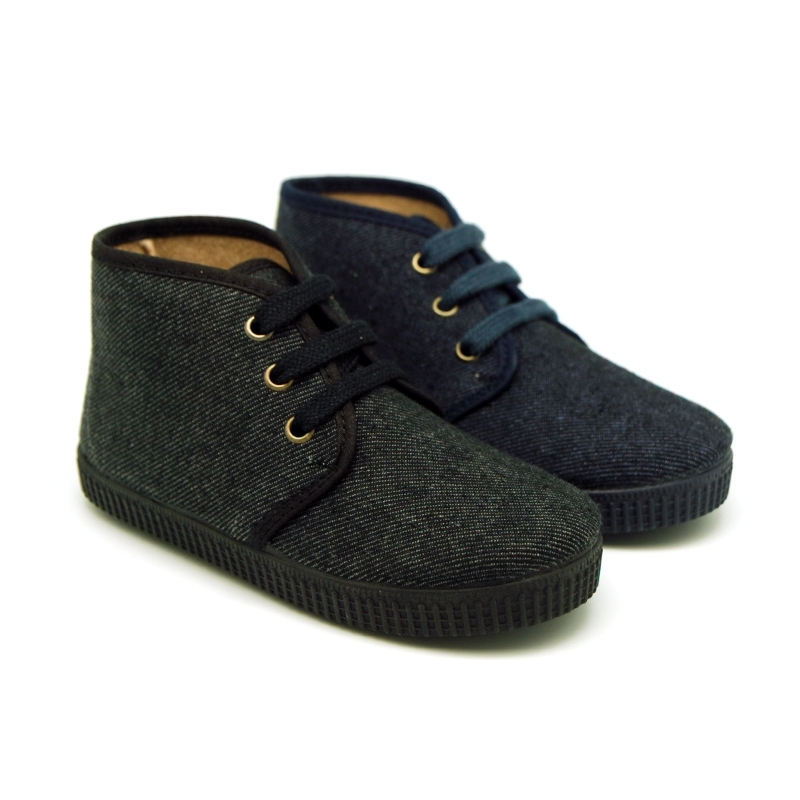 Little ankle boot shoes with denim design. 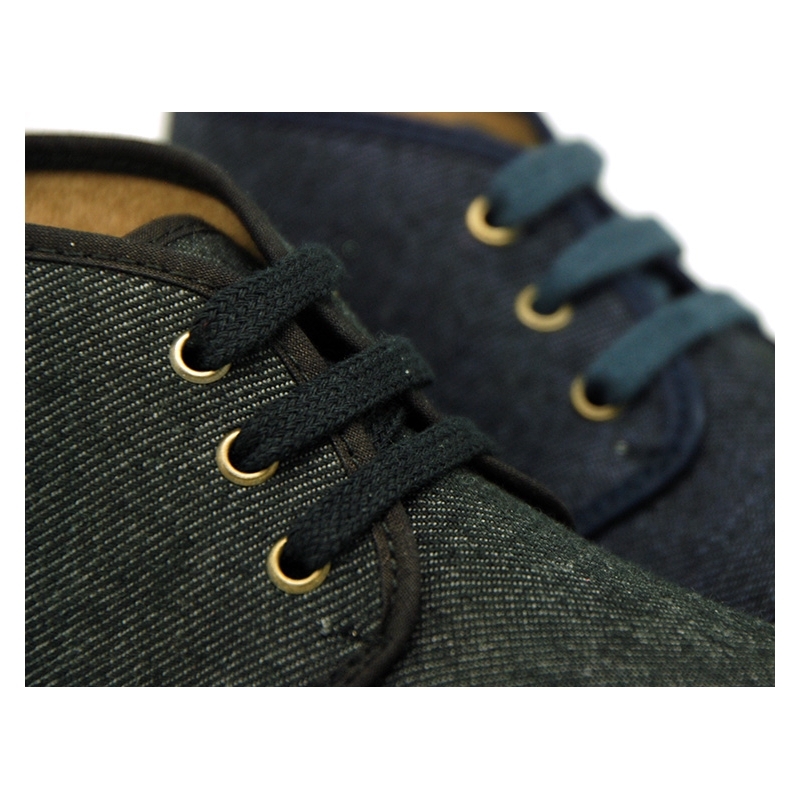 CASUAL little ankle boot shoes with shoelaces closure and sneaker sole in denim design. 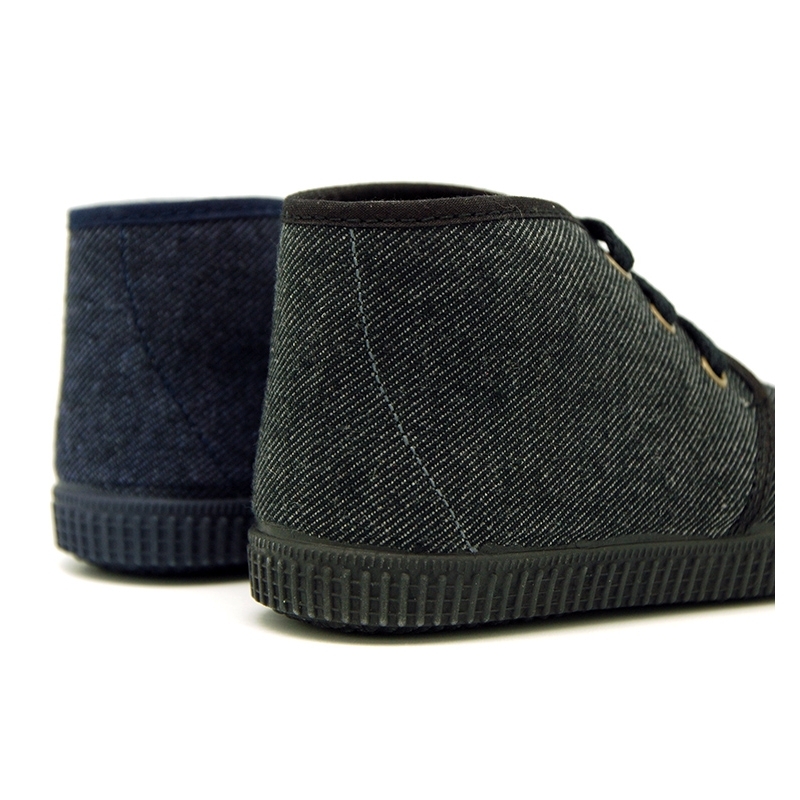 More info about Little ankle boot shoes with denim design. 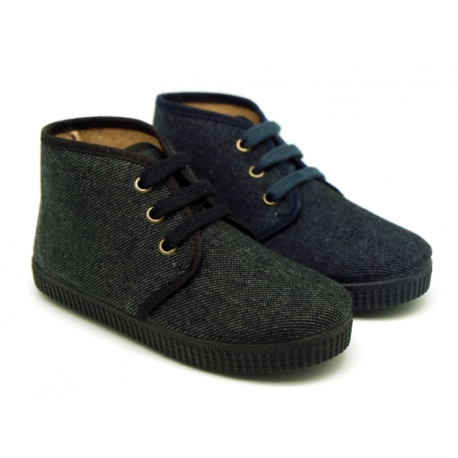 Casual Little ankle boot shoes with shoelaces closure and sneacker outsole in jeans design. Made up of 100% high quality natural cotton canvas with denims design. Very practical and fits with every garment this autum- winter. ItÂ´s a new model, very chic and different. Jeans or denim design are the latest in all kids collections. 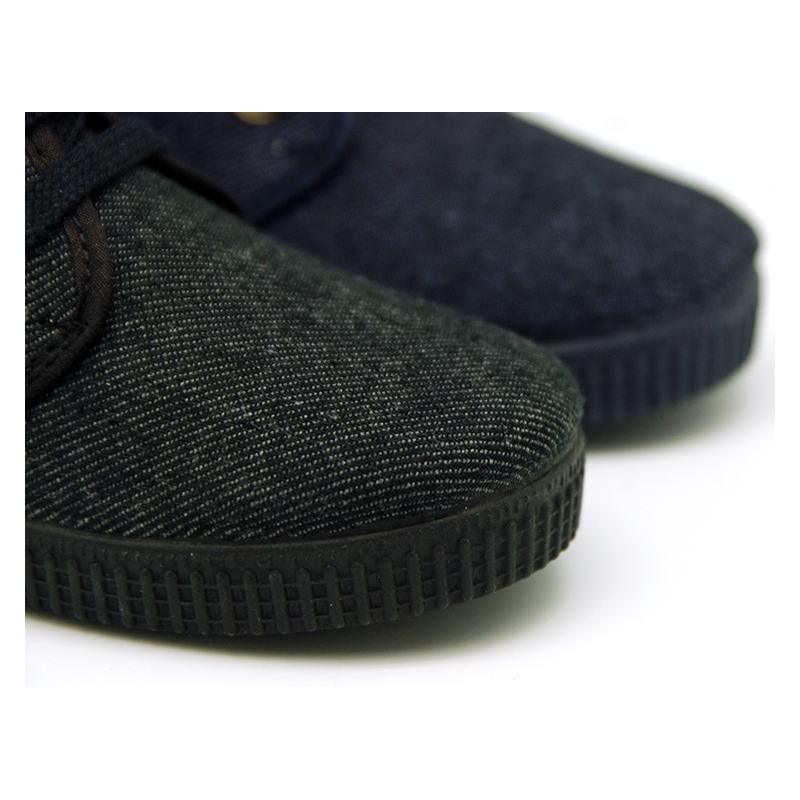 Fully lined to protect their feet this autumn and edged and padded footbed for a good perspiration of their feet. 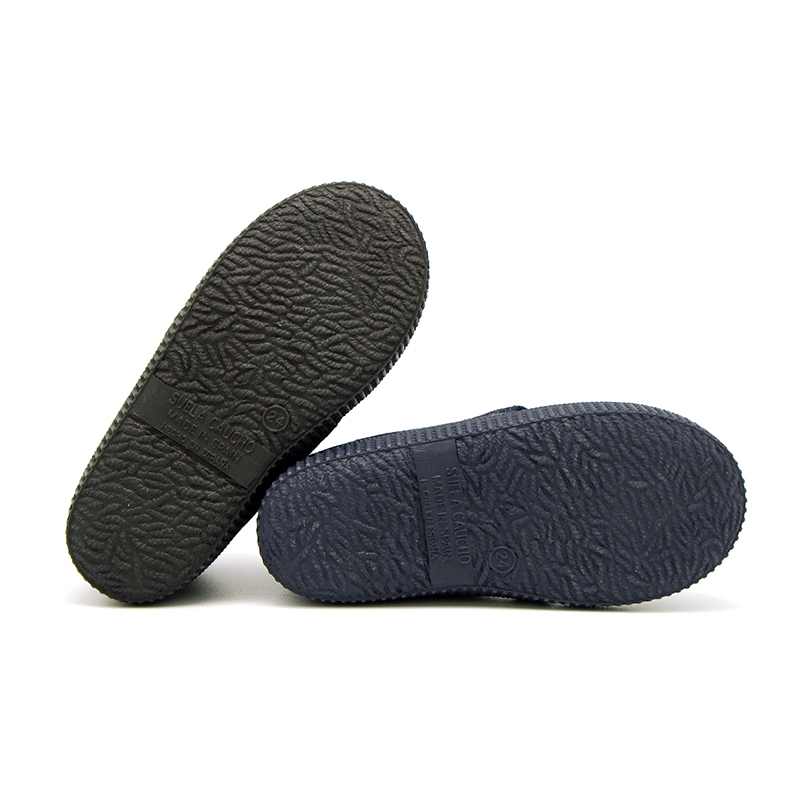 Outsole made up non-slip of high quality rubber macthing color which is totally flexible in order they can learn to walk without problems. Available in 2 colors. 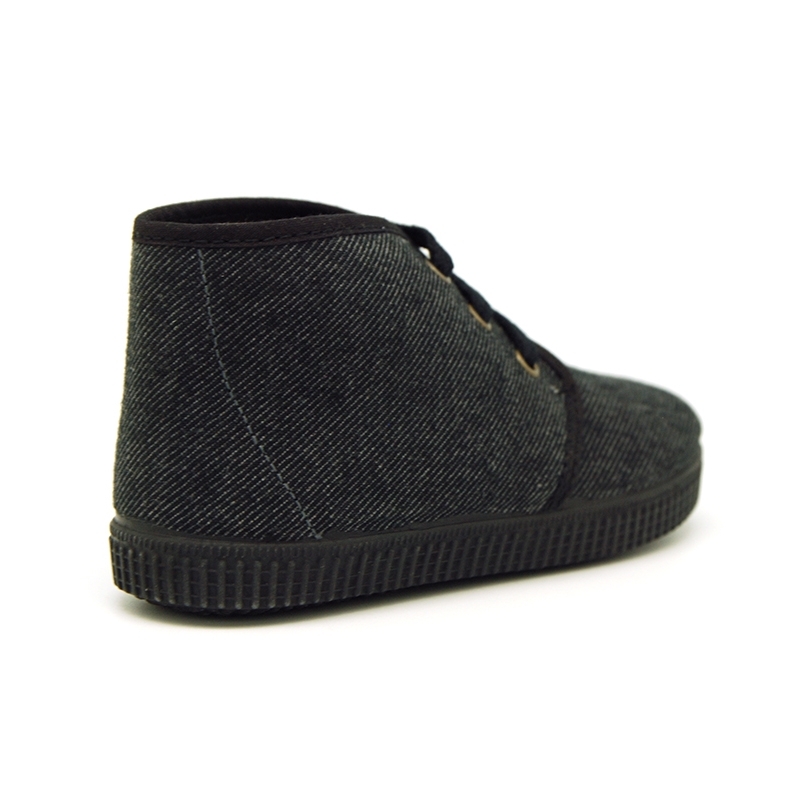 Range of sizes, from 20 Euro size up to 34 Euro size. SIZING REGULAR. 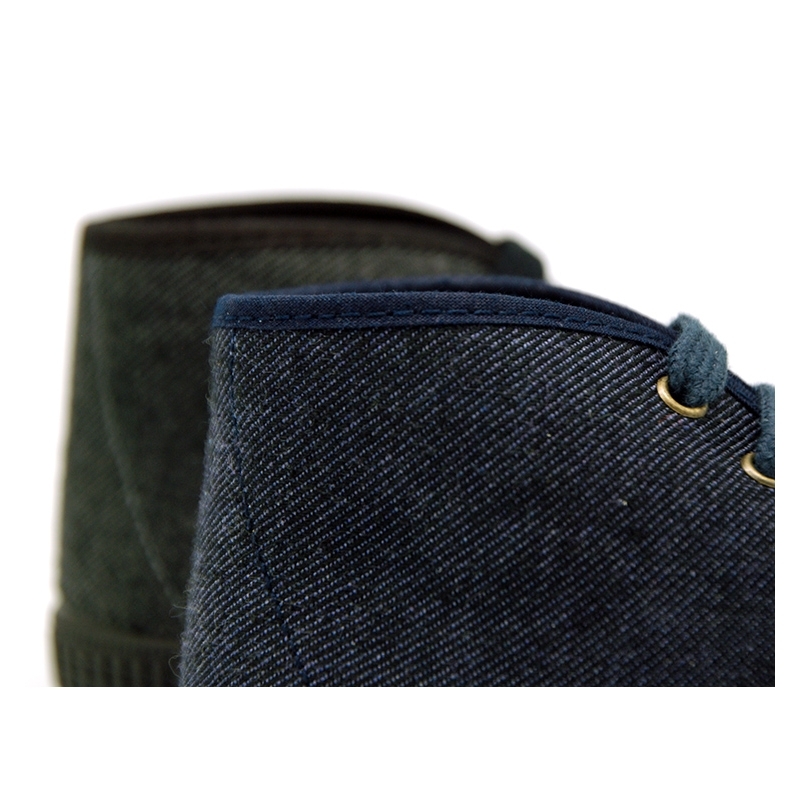 Data sheet about Little ankle boot shoes with denim design.